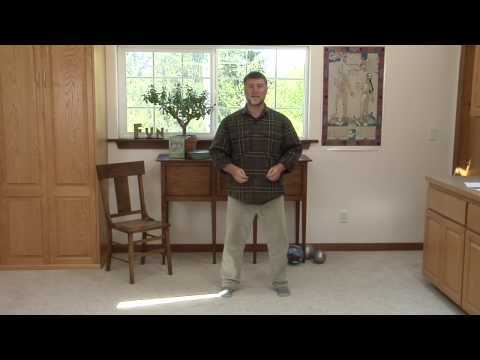 Below is the second of five videos on Reducing Depression with the “Old Man” Qigong Set. There are three movements in the Old Man exercise, beginning with the Lung Movement, as taught in this video. In the Lung movement you will stretch the lungs open, massage them repeatedly with relaxed arm movements and release sadness into the earth. Each movement is accompanied by a directed healing sound, one that is specific for that area, bringing loosening vibration to the cells of the targeted area. The Lung sound is “SHHHH” or “SSSSS”. I’m not sure about the last one. It seems to be more of something to be cautious about and aware of your own body’s needs. Refer back to the second principle of Qigong: Modify. Note: The “Lung” movement is also a Kidney strengthener. Bending over while imagining your feet are in warm water is–in the Five Elemental Energy conception–nutritive for your Kidneys. Without going into it in too much detail in this post: Full, strong Kidneys give you energy, healthy bones, mental clarity, and a sustaining connection to Nature. One way to look at Qigong practice is to ask if you are practicing in Single exercises, Sets of exercises or with Sequenced forms. In this post I talk about Sets. Sets are collections of exercises that have a particular theme. Each exercise is practiced several to many times as a drill. A Qigong Set is an organized collection of exercises that you practice in order, doing so many of each exercise before going to the next. A Set is not a hodge podge, but is put together with particular training goals in mind. The Five Flows Qigong is an example of a Set. It is designed to teach basic principles of Qigong while taking you through 2 successive movements to build health. One famous Set is called Shibashi (also known as Tai Chi Qigong.) Shibashi has 18 movements adapted from the moves of Tai Chi Chuan. Shibashi–and Shibashi 2 and 3—are modern sets, put together recently. A much older and famous set—one with many versions—is the Eight Brocades—just 8 exercises, often used as a warm-up in classes. 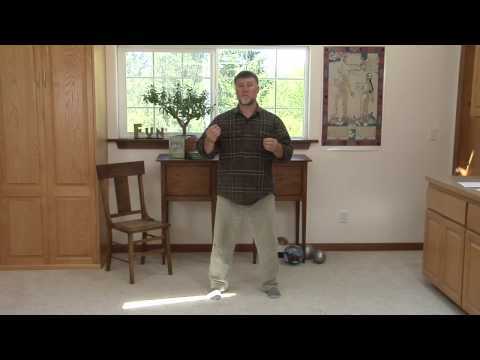 Snake Qigong is a Set I learned from Jang Jie in 1995. Intricately designed, it contains 36 different moves, separated into ten sections. An example of a Set designed to develop flexibility in the joints is another 18 movement set called Wuji Hundun Qigong. There are also meditation Sets, standing Sets, and many more permutations. This is just a small, overview sample. There are thousands of Sets out there. One of the benefits of a Set is that it is easier to remember a number of exercises when they are so organized. Another advantage of practicing a Set is that each exercise tends to support the effects of the other exercises. Sets usually have a balanced number of movements on the left and right sides. In my next post I will talk about Sequences.